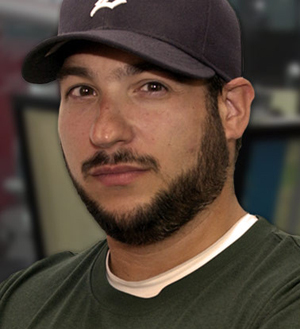 Entercom has announced the launch of the “Always Aggravated” podcast hosted by WXYT-FM (Detroit) sports broadcaster Mike Valenti. New podcasts will be posted weekly to Radio.com. The podcast is a chance for fans to go behind the scenes with Valenti and his cast of characters from his daily afternoon show airing weekdays from 2-6 p.m. ET on 97.1 The Ticket. The program will be filled with special guests, including talent from the NFL, MLB, NBA, NHL, college sports, music and more. 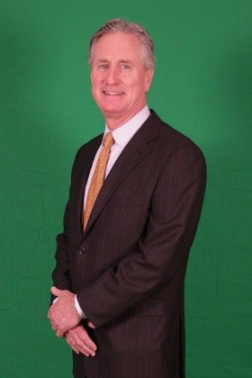 Cumulus Media has announced that Vice President/Market Manager Tom O’Brien will retire at year-end after a brilliant 40-year career as a Detroit radio fixture. 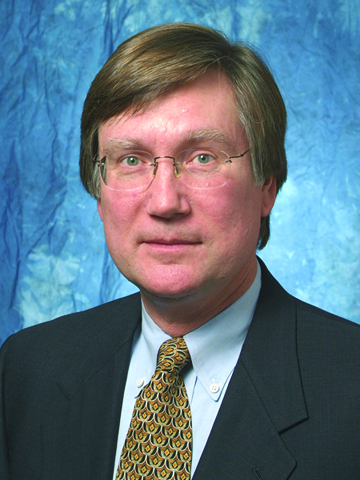 O’Brien joined WJR-AM( Detroit) in 2004 as Director of Sales and was promoted to Vice President/Market Manager for Cumulus’ three-station cluster in 2011. “Working with the team at WJR, The Great Voice of the Great Lakes, and Cumulus Detroit has been a privilege. Thank you to my first boss Tony Salvadore, my last boss Dave Milner, and all the team members and clients in between for a really enjoyable career,” O’Brien said. 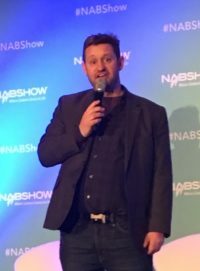 Prior to joining the Cumulus Radio Station Group, Tom was General Sales Manager and Station Manager at WWJ-AM (Detroit) for 14 years, and also held positions as local Account Executive and Regional Manager for Interep. 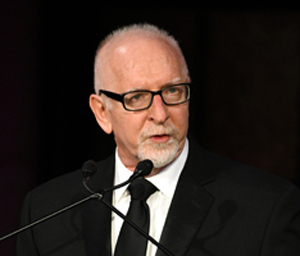 “We thank Tom for his significant contributions to radio, to Cumulus, and to the Detroit community and wish him all the best in his retirement,” said Dave Milner, Cumulus Media Executive Vice President for Operations. 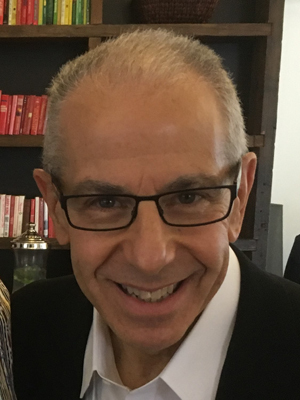 On November 15, Jacobs Media Strategies Founder/President Fred Jacobs was inducted into the National Radio Hall of Fame at ceremonies in New York City. His inclusion recognizes his contributions to radio broadcasting over more than three decades. Fred is the first radio consultant to ever be inducted. The MAB thanks Jackson Radio Works’ Bruce and Sue Goldsen and MAPB Chair Gary Reid for representing the MAB at the induction ceremony. According to a report in Inside Radio, the next FCC open meeting on December 12 is scheduled to bring its Notice of Proposed Rulemaking to a vote seeking public recommendations on a variety of rules, including local radio ownership. The National Association of Broadcasters requested that companies be allowed to own as many as 10 AM or FM stations in the biggest markets. The NAB advocated for allowing a company to own up to ten stations in the largest markets, with no limits on how many of those stations are FMs or AMs. On December 12, the FCC will officially launch its latest ‘quadrennial’ review of broadcast ownership rules. The review is a congressional mandate. The rules up for review are the local radio ownership rules, local TV ownership limits and the dual-network rule. The Snyder administration is rescinding state rules in favor of making reference to the federal regulations when it comes to the Michigan Occupational Health and Safety Administration (MIOSHA). The agency submitted 27 rules packages over the past few weeks that rescind various state rules in favor of the reference notation. “The focus has not been on Michigan requirements that exceed federal OSHA requirements, but to replace Michigan specific rules and rule numbers with the equivalent federal language and rule numbers,” Jeannie Vogel, spokesperson for the Department of Licensing and Regulatory Affairs (LARA), said. “This will assist employers and employees in making the requirements in Michigan more consistent with the requirements in surrounding states, as well as federal OSHA.” According to LARA, the rule changes will not mean changes in health and safety requirements for employers. Whether you’re an all “All Christmas” station, or just spice in Christmas music with your regular format, there are a few easy steps to make it sound as special as the holiday itself. The on-air presentation should remain up and contemporary. Sometimes when stations go to all Christmas music, the jocks tend to “soften” or bring the presentation down. If anything, the on-air delivery should be up, fun and exciting. Reinforce these lines every time. Not just sometimes. It’s critical to drive home the “All Christmas” message. The goal is to “dress up the station” with Christmas cheer. This is a 6-week tactic. Sound great and get all the ratings credit. Dress the website for Christmas. Use the line “The Christmas Music Station.” It’s very important that when a listener goes to the website, it reflects what you are doing on the air. Same for Facebook pages. Do what you can with them to make it look like Christmas. Have high production values. Use lots of holiday jingles. If you cannot get new Christmas jingles in time, take your current ones, and be creative. Add bells, chimes and ho-ho-ho’s to make them sound Christmas. It’s all about Christmas. All live liners and recorded sweepers refer to Christmas. Attention diary markets: Change your SIP. Make sure it says, “Christmas Music,” “Xmas music,” etc. One of the fun things about the holiday season is that it provides an opportunity to seek out content from local community members. I’ve written about how to ask guests to contribute to your radio station in the past, and usually this involves asking one person to write a single blogpost. But there’s another way to do it: You can ask multiple people to contribute to a single blogpost. To do this, pose a question that different people will answer differently. Then, compile their answers into a blogpost. For example, here’s a blogpost in which I asked contributors how they would spend $100,000 to market a podcast. To create a blogpost like this, first identify the people in your local community that you want to pose your question to. These can be a variety of influencers in your market, including athletes, local band members, journalists, chefs, religious leaders, comedians, etc. You want to target people who have their own following in your market because you want them to share your blogpost with their fanbase. Don’t forget to ask people for their job title, headshot, and a link to their website so that you can include these in the post. Not everybody will respond, so it’s a good idea to ask for more answers than you need. Also, you may want to aim for a diverse group of respondents. This might mean a mixture of people with different jobs, genders, ages, ethnicities and physical locations. What’s your favorite holiday song? What’s a great local gift to give somebody this holiday season? What’s the best gift you’ve ever received? What’s the worst gift you’ve ever received? What’s your favorite holiday recipe? What’s your favorite holiday cocktail? Provide the recipe. What’s your favorite holiday movie or TV special? Why? What’s your favorite thing about [your city] during the holidays? Tell us about a holiday tradition that you have. What do you want for Christmas this year? Once you’ve gotten enough responses, publish your blogpost and share it on social media. Be sure to tag all of the contributors in your social media post. Also, email them the link to the published post and invite them to share it on social media as well. If they do, the post may go viral. Because it’s easier to write a single paragraph than an entire blogpost, inviting multiple contributors is often a more effective way to crowdsource content. If your station has never enlisted local community members to be a part of its blog, give it a try this holiday season. In 2016, Marisa Kwiatkowski and her colleagues launched an investigation into USA Gymnastics that revealed top officials at the sport’s national governing body failed to report many allegations of sexual abuse by coaches and showed how predators exploited a lax culture to prey on children. 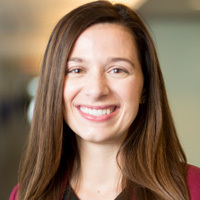 Marisa is a reporter for The Indianapolis Star, where she handles investigations relating to social services and welfare issues, including child abuse and neglect, poverty, elder abuse, human trafficking, domestic violence and access to mental health services. 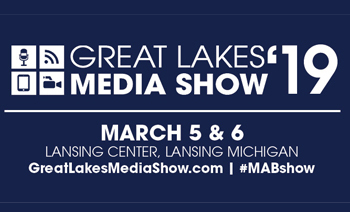 She joins the exciting line up of presenters who will be on hand for the 2019 Great Lakes Media Show on March 5 & 6 at the Lansing Center in downtown Lansing. As a result of the investigation into USA Gymnastics , more than 330 women came forward with allegations of sexual abuse against Larry Nassar, a longtime team physician who worked in four Olympic games. Nassar was convicted of criminal charges and sent to prison. The series also spurred Congress to pass a bill that would make it a federal crime for national governing bodies to fail to immediately report alleged sexual abuse. In 2013, Marisa received two national awards, as well as state and regional awards, for her coverage of the difficulties of children with mental illnesses and developmental disabilities to receive appropriate mental health services. She found parents falsely admitting to neglect in order to secure services for their children. After Marisa’s series published, state officials pledged up to $25 million per year to close the funding gap. Marisa has earned more than 50 journalism awards, including Indiana Journalist of the Year, IRE’s Tom Renner Award, a Sigma Delta Chi Award in public service, the Casey Medal for Meritorious Journalism and the Will Rogers Humanitarian Award. Prior to The Star, Marisa worked for media outlets in northwestern Indiana, South Carolina and Michigan. One of her articles, “The exorcisms of Latoya Ammons,” became the most-read piece in The Star’s history.